Blog - Awareness Days - Too much information? Awareness Days - Too much information? Awareness days – Too much information? March is National Bed Month! I LOVE MY BED!! Most people are definitely Owls or Larks, personally I don’t function after 9PM and can take on the world at 6AM – it’s just in my DNA. 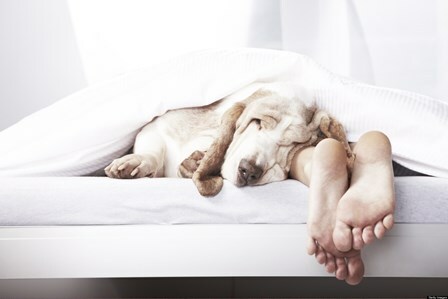 National bed Month is organised by the Sleep Council to promote the importance of a sound night’s sleep and the impact lack of sleep has on our health. Awareness is so vitally important for families who live with disability, we are all gradually becoming more aware of all sorts of things we never had reason to stop and think about before. Awareness campaigns are great for focusing our attention on difference, diversity, disease, education food sleep and a whole gamut of other things. The trend for Awareness days is relatively new, developing in line with the expansion of the internet. However I am a little concerned that what started as a great way of educating and informing us all is rapidly becoming a very crowded space. I fear there is grave danger of creating awareness burn out as we are bombarded with awareness weeks, days and months and the space gets so “noisy and shouty” that we develop “awareness overload” and ultimately switch off. For example did you know that alongside National bed Month in March we can also celebrate? Not forgetting my favourite of all – Wear a hat day!!! OOPs I thought this was someone being humorous to get my attention and of course it worked because on closer inspection Wear a Hat Day is to raise awareness for brain tumours. Add Sport Relief and Mother’s Day into the same busy month and it is a lot to take on board. What is going to happen when every day is an Awareness day for a great cause and we run out of days? Overall the impact has to be positive as the discussion broadens; the internet is used at its best to pass on important life changing and challenging information. We are all finding our own way to filter out information overload, and surely it is better to have this vitally important information available so we can create a more understanding world for the next generation. For now I’m worn out looking at all the awareness days, I’ve been up with the lark and need a lie down - thank goodness its national bed month do you think this gives me a good excuse?